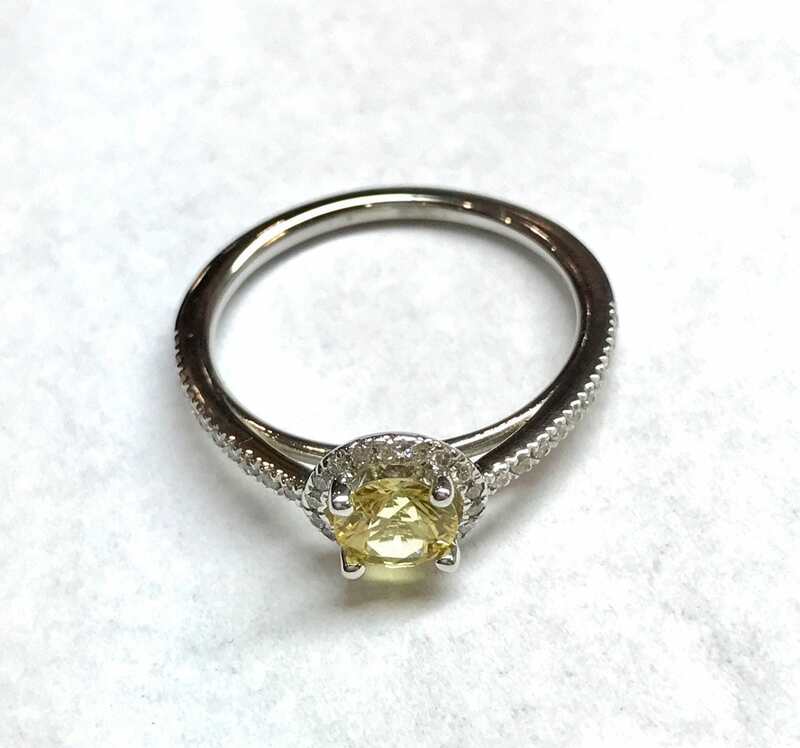 This sparkling yellow sapphire ring boasts a beautiful sapphire surrounded by genuine diamonds. The 14K white gold partial diamond band with pave diamonds fits comfortably on the hand. 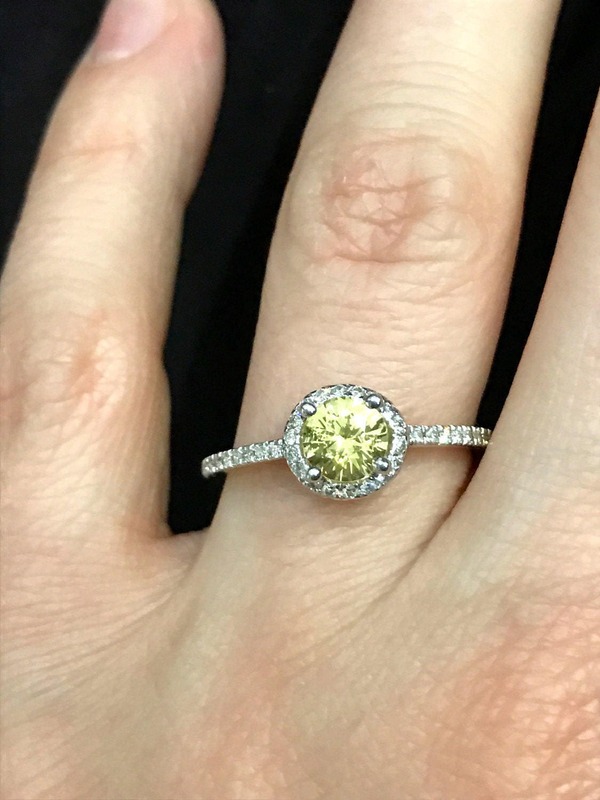 The stone on this ring is natural sapphire.